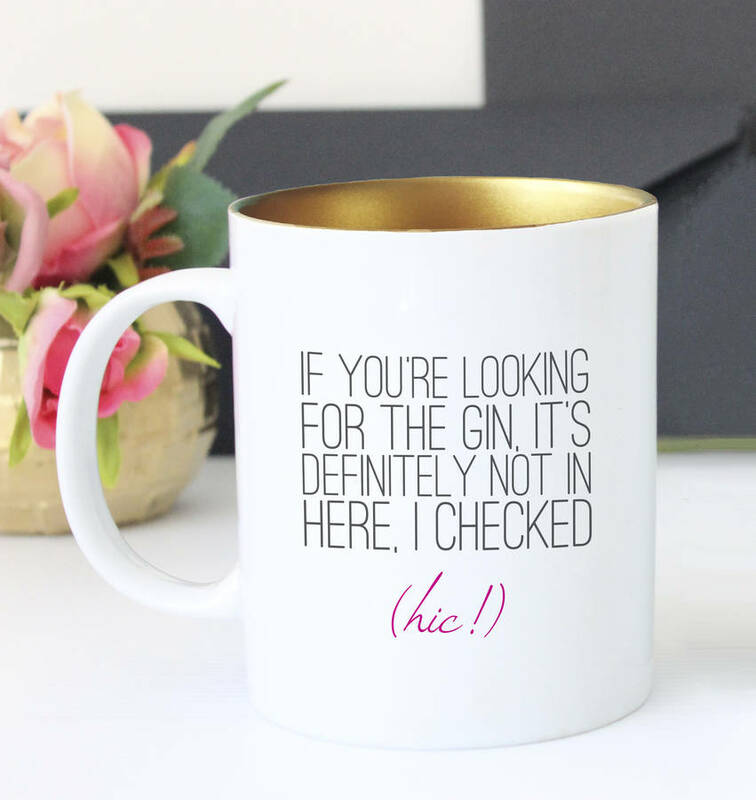 We’ve all got one of those friends who likes gin just a little bit too much so it shouldn’t be too hard to think of some recipients for these fun gin themed gifts. 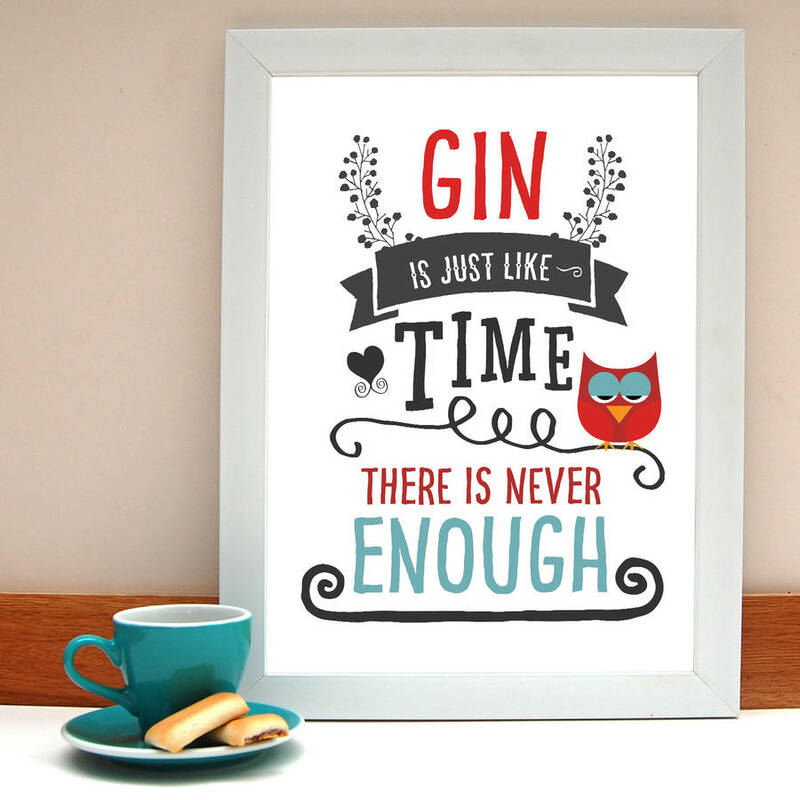 Gin has become one of the trendiest spirits around in the last few years and spawned a whole culture of speciality gins and items printed with amusing gin slogans. They all make great Christmas presents so here is just a small selection of the best to help you with shopping for your gin-loving friends this year! Hands up if you’ve uttered that phrase at least once at some point in the last year! 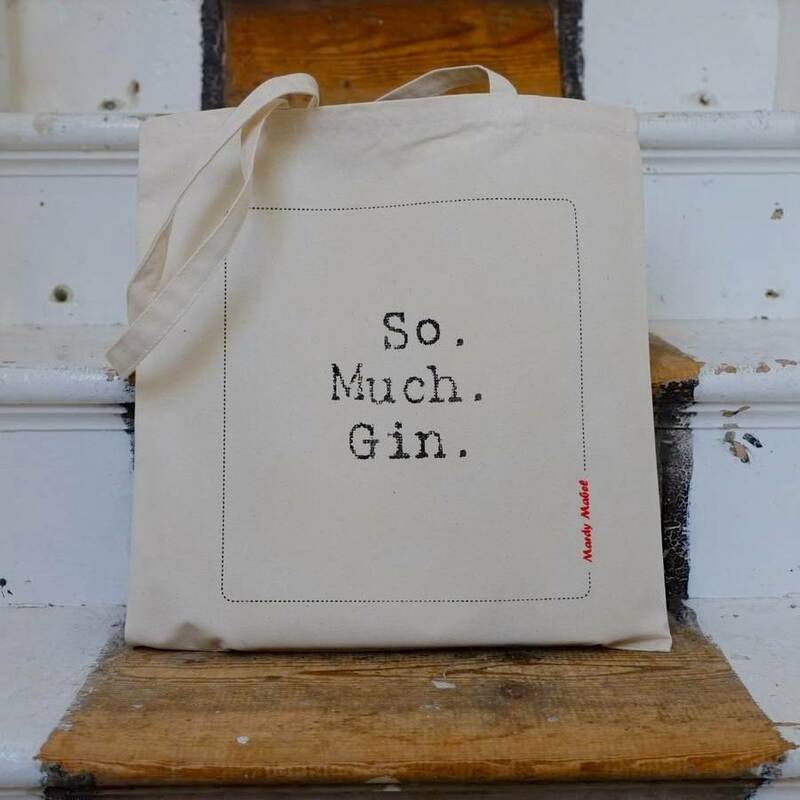 This canvas tote bag makes for an amusing present to give to a friend, perhaps the morning after a Christmas night out with some hangover recovery supplies inside? Get it from Not On The High Street. 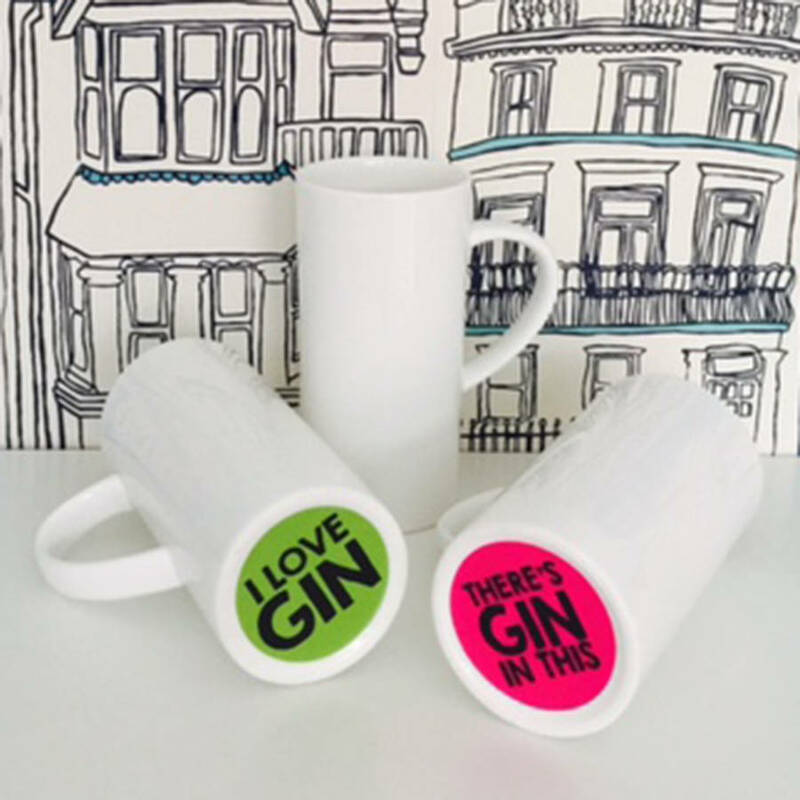 This mug makes a great Christmas gift for any gin lover and comes in a choice of pink, light blue, black, or copper, of you can buy the whole set of four. Get it from Not On The High Street. These luxury bone china mugs look like they’re plain white but when you lift them to drink, the neon decal on the base is revealed – sure to get a laugh out of work colleagues. Order from Not On The High Street. 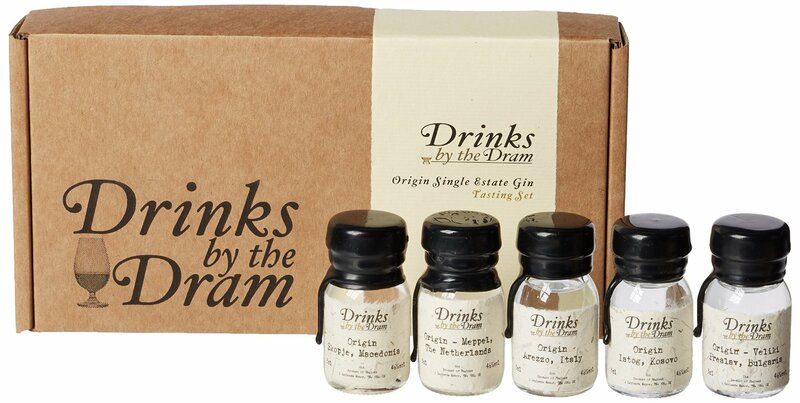 The ultimate gift for gin lovers! This luxurious gin liqueur with real silver sparkles is probably the most unique drink you’ll enjoy all year. 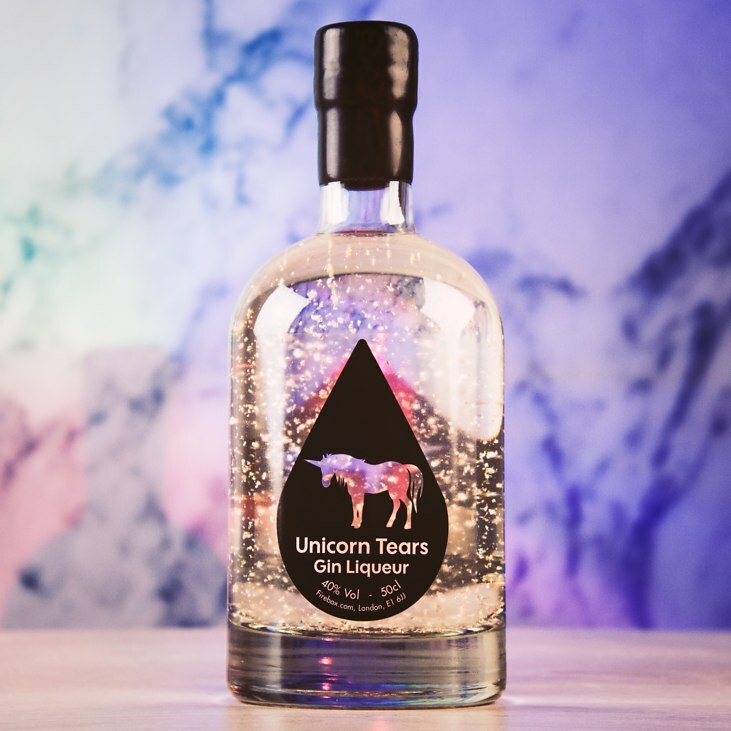 Made from real unicorn tears! (not really). Get it from Firebox if you’re lucky – it’s selling out fast. For those who’ve already tried all the speciality gins and are getting more adventurous, or who have already tried making sloe gin and want to take things to the next level, this gin infusion kit makes a fun gift. 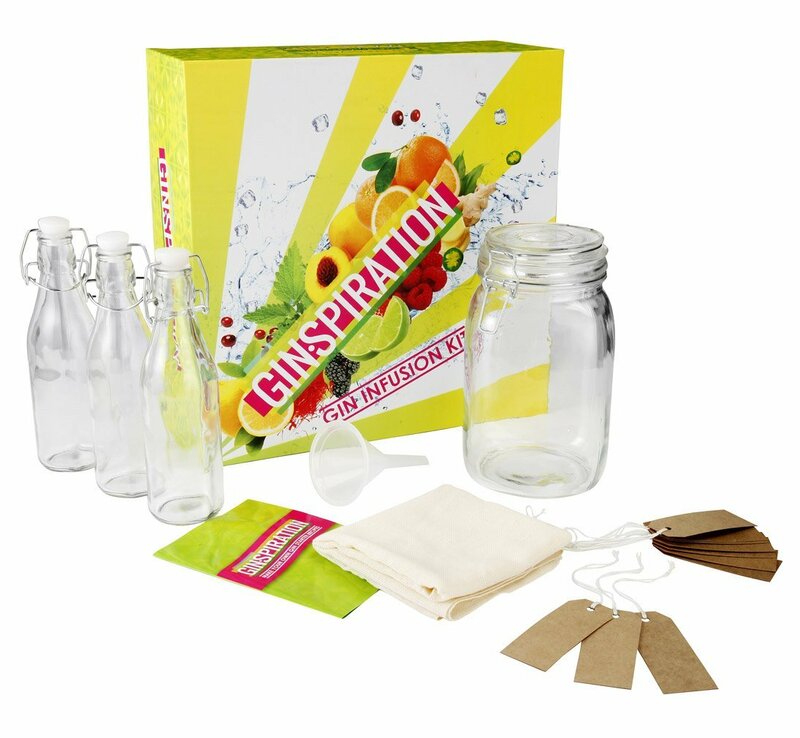 The kit includes a mason jar, muslin cloth and funnel, 3 serving bottles with labels and recipe booklet and accompanying app with 35 recipes. 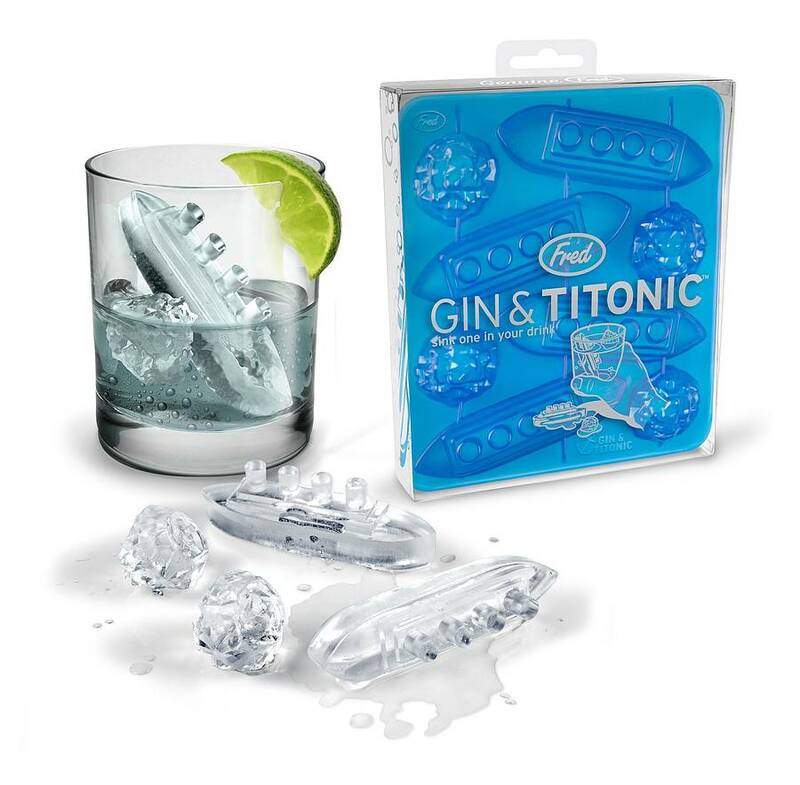 These ice cubes of the Titantic and iceberg are sure to raise a few smiles at your next cocktail party. 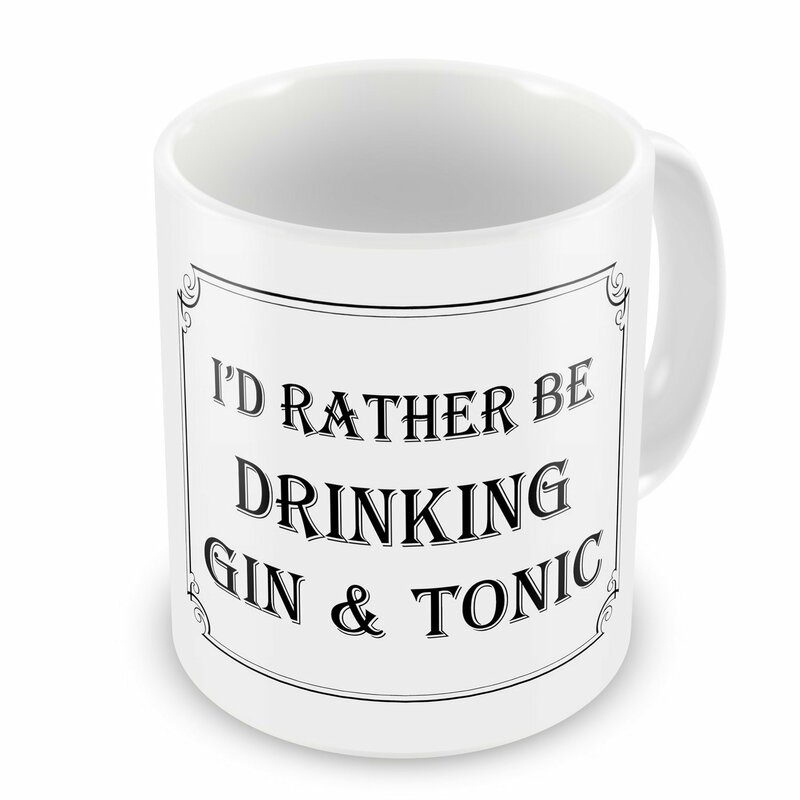 Makes a great gift for any Gin & Tonic lover. Get it from Not On The High Street. A simple and funny mug that will look great on a desk at work or at home. Makes a great gift for Christmas or any other occasion. Christmas Pudding gin?! Whatever will they think of next! This limited edition gin infused with real Christmas Pudding is produced in a microdistillery in London and each bottle is numbered. Perfect for Christmas gifts or cocktails. This set contains 5 x 3cl bottles of different gins from all over the world including Kosovo, The Netherlands, Italy, Macedonia, and Bulgaria. All the gins are a basic infusion with juniper, allowing you to taste the difference between the berries of different origin. Every gin aficionado knows what makes the drink special is the botanicals infused within the spirit. 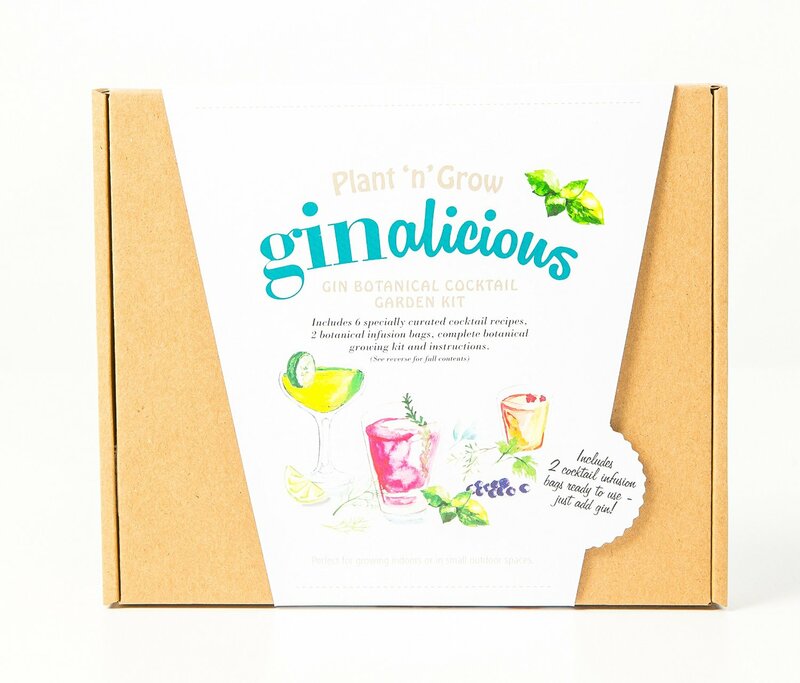 This kit includes everything you need to sow, grow and mix delicious home-grown gin cocktails including 2 ready-to-use cocktail infusion bags (while you wait for your plants to grow) with flavours of raspberry & rose petal and earl grey & blue flower; and seeds to grow cucumber, rosemary, basil and thyme. 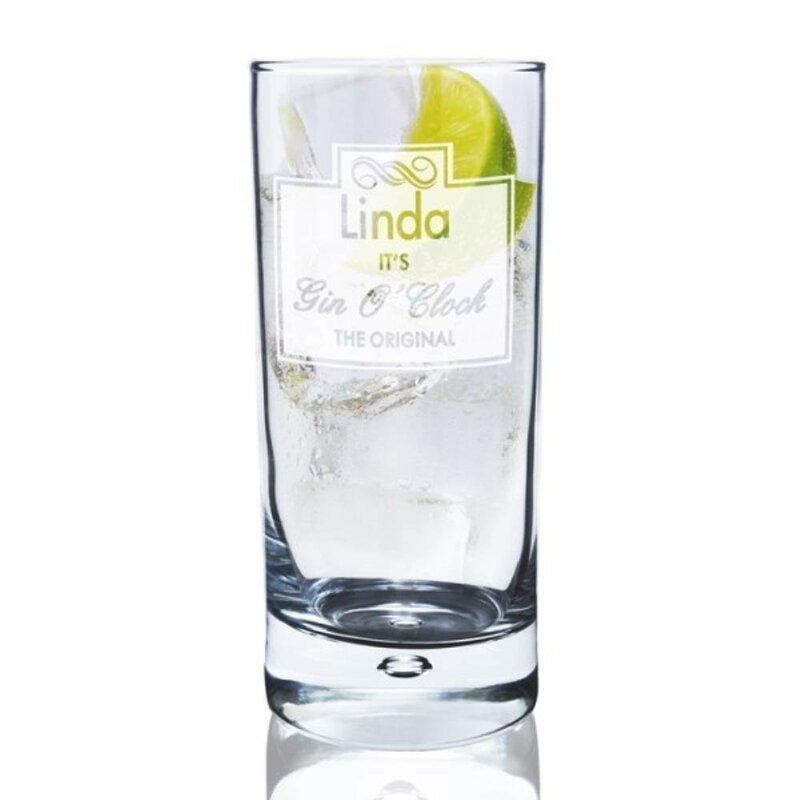 For those who prefer drinking their G&T out of a real glass rather than a mug, this personalised glass makes a great gift. 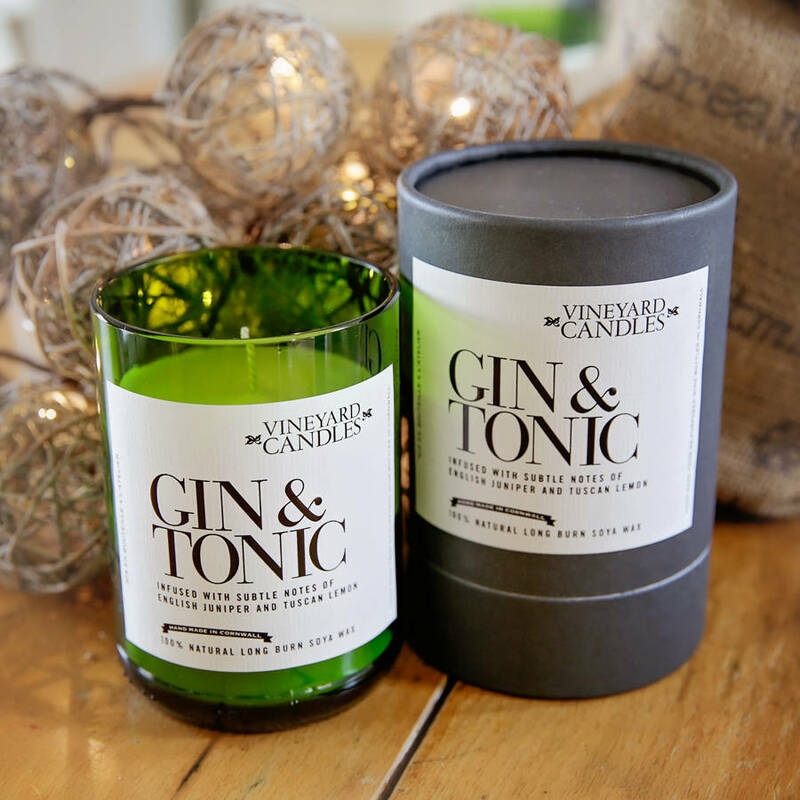 This long-burn soy wax candle is infused with subtle hints of English Juniper and Tuscan lemon for the perfect gin and tonic combination. It comes in an artisan glass candle holder made out of a wine bottle. Other scents are also available, including prosecco! Available from Not On The High Street. 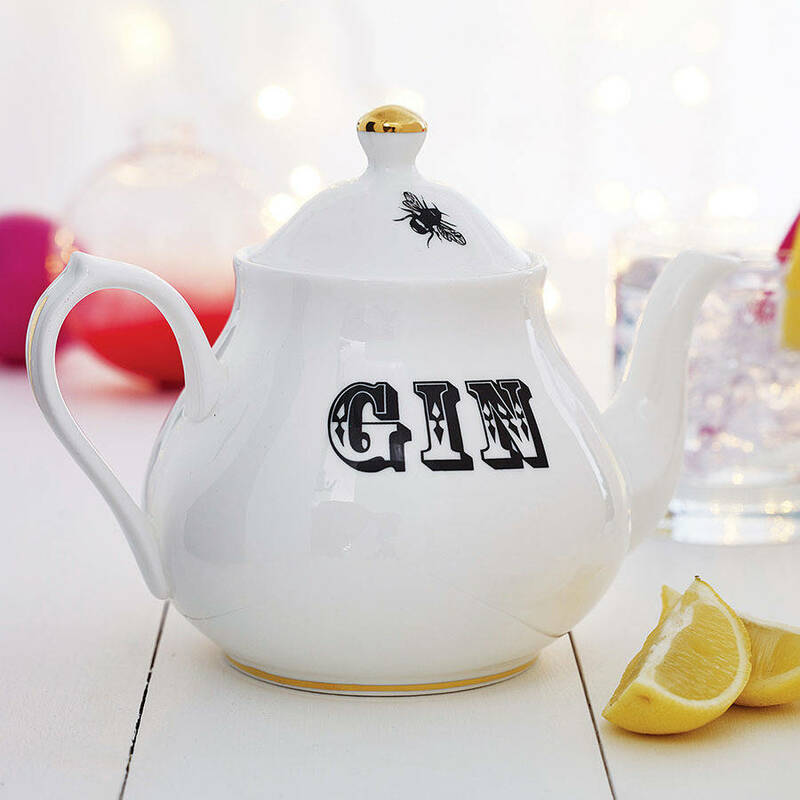 Using mugs and teacups as receptacles for drinking gin has been popular for quite some time but this is the first time I’ve seen a gin teapot! 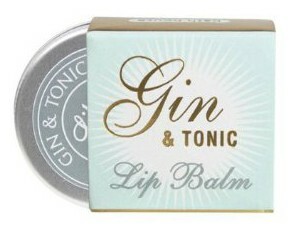 Great for serving gin cocktails at a party or use it for tea and get some smiles from your guests. Available from Not On The High Street. You know there’s something special about this gin just from looking at it. Infused in a copper pot with juniper, orange peel, coriander, cinnamon, cloves and cardamon, it has a clean fresh flavour that has won awards. Makes a great gift for anyone who likes trying different gins and the unique Victorian apothecary style bottle will look great on display. 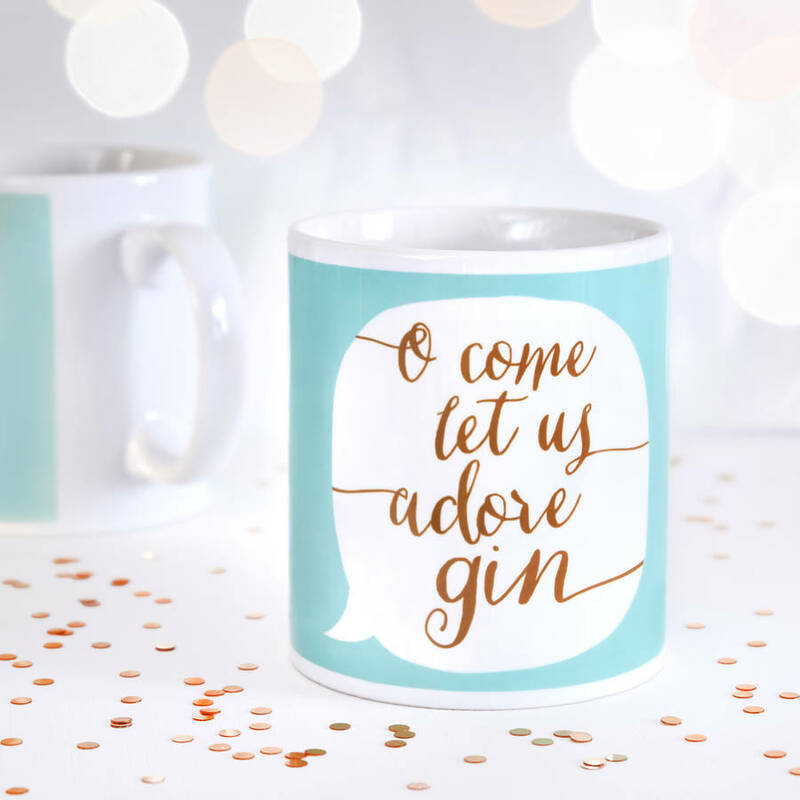 There are so many funny gin-themed mugs out there but I think this must be one of the most beautiful. Choose from grey and pink, pink and teal, or navy and teal for the writing and the inside of the mug is lined with gold. Available from Not On The High Street. 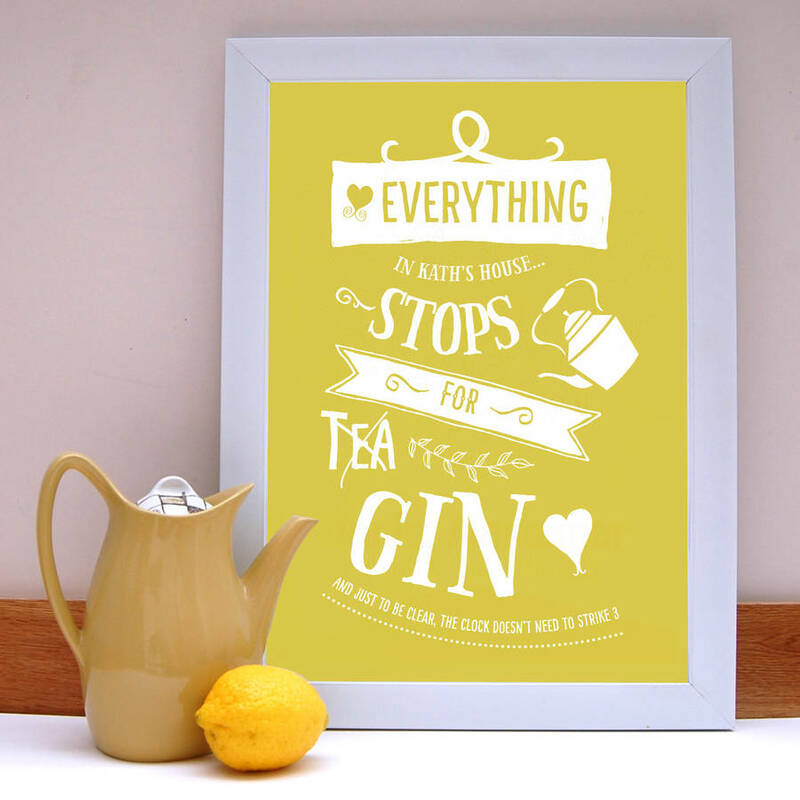 This cute print is sure to be appreciated by your gin-loving friends. It comes either framed or unframed and can be personalised with the recipients name. Get it from Not On The High Street. Sooth and treat your chapped lips with the taste of gin & tonic and the moisturising properties of cocoa butter, coconut oil, shea butter, and sweet almond oil. Bath salts are also available. The bible for gin lovers. 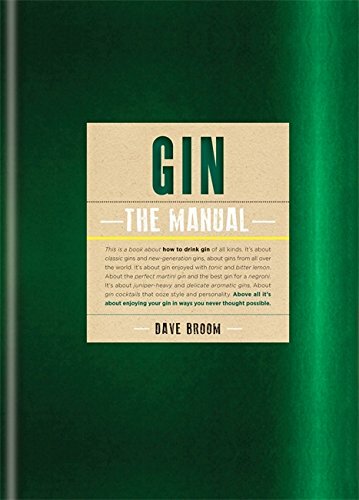 This book contains detailed information on how gin is made, the history of gin, the difference between different gins and multi-score ratings of 120 gins, tested four ways. 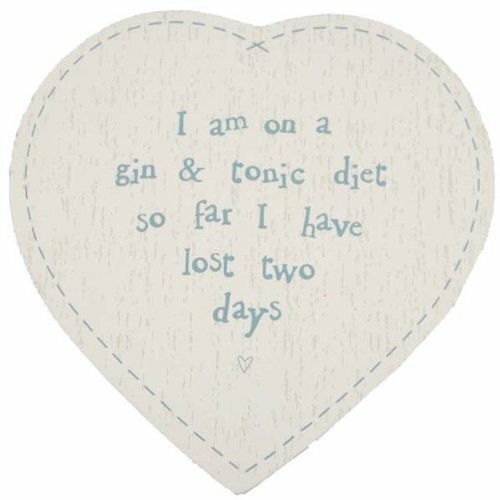 A cute heart-shaped wooden coaster that makes a great gift for any female gin-lover. 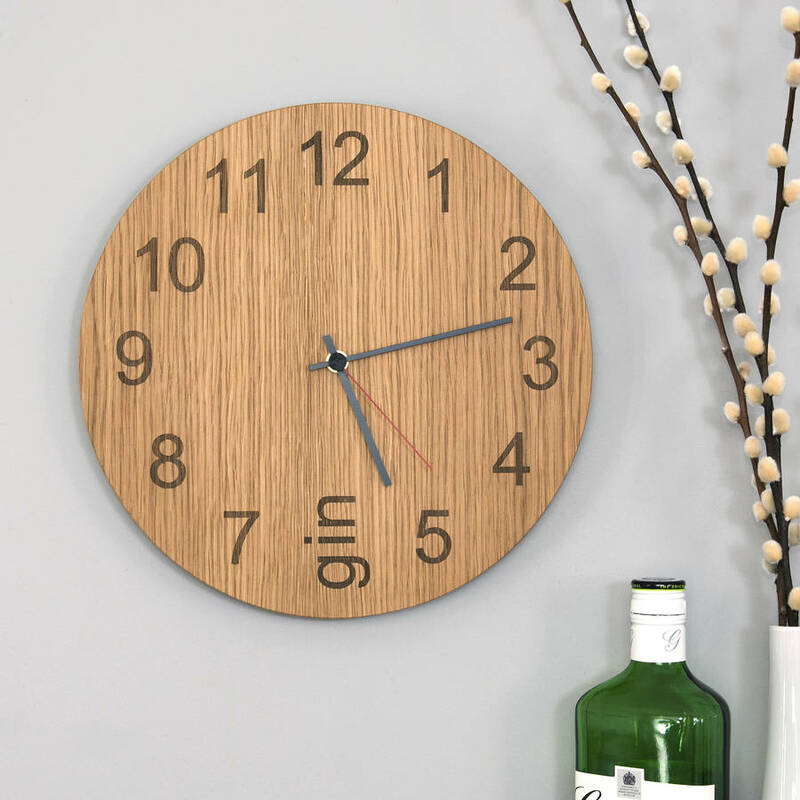 This amusing and attractive timepiece can be customised so the “gin” is printed at an hour of your choice. Made from solid oak veneer with laser-etched print. Get it from Not On The High Street. Possibly the best gin in the world, Hendrick’s Gin is flavoured with flowers, roots and seeds and infused with rose petals and cucumber. It’s created in small batches in a Scottish distillery and tastes great drunk from a glass or teacup. This delicious popcorn is coated in caramel infused with real gin and tonic. 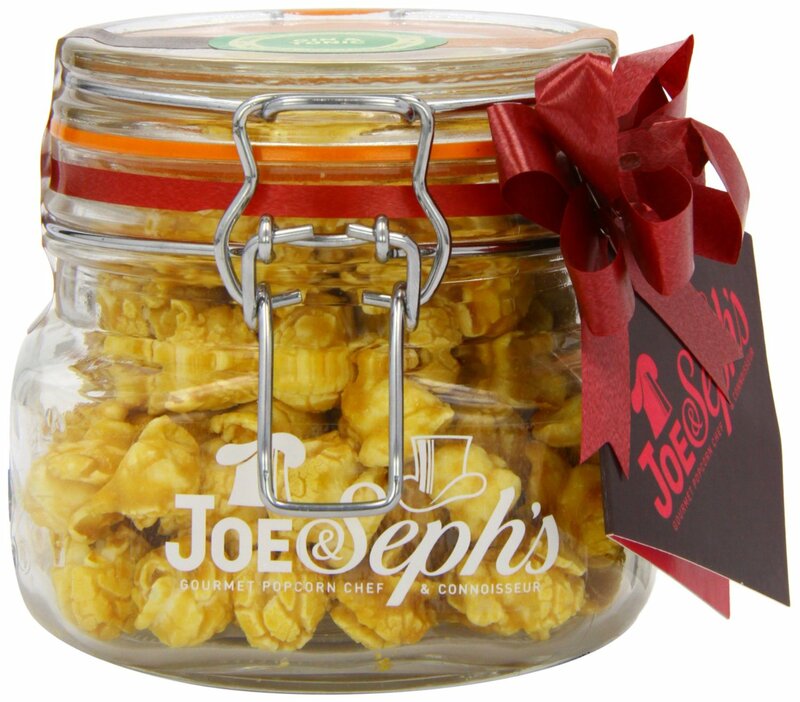 It comes beautifully packaged in a glass kilner jar with a red ribbon, making a fantastic Christmas gift. This beautifully pink liqueur is made from gin infused with spring rhubarb, oriental ginger and lemon zest. It can be drunk neat over ice, with tonic water or mixed as a cocktail. It tastes like liquid rhubarb and custard sweets with a hit of ginger! This sweet and funny personalised print will look good in any home. It’s available in a variety of colours from Not On The High Street. Alternative Advent Calendars for Adults 2016: Yankee Candle, Beer, Gin and more! Best Alternative Advent Calendars of 2016 for Kids – Haribo, Play Doh, Kinder and More!